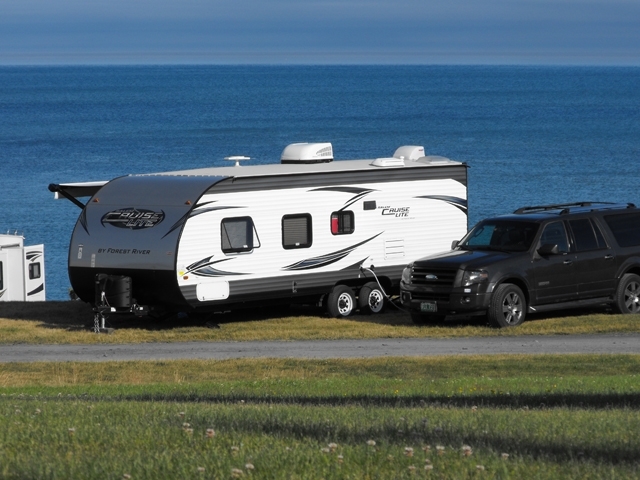 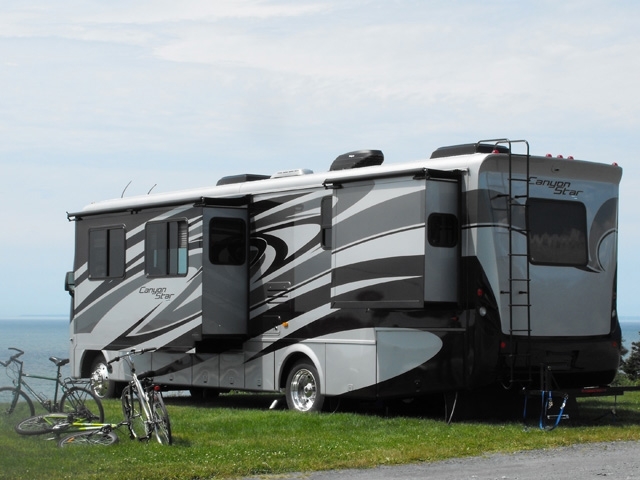 Adjacent sites #44 & #46 are Premium Water View full-service sites on the Upper Terrace, and will accommodate one camping unit of any size - trailer, tent trailer, 5th wheel, RV or coach - with either back-in or pull-through parking. 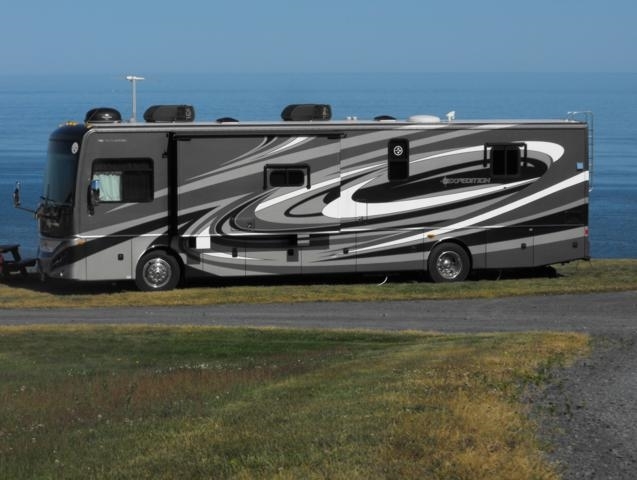 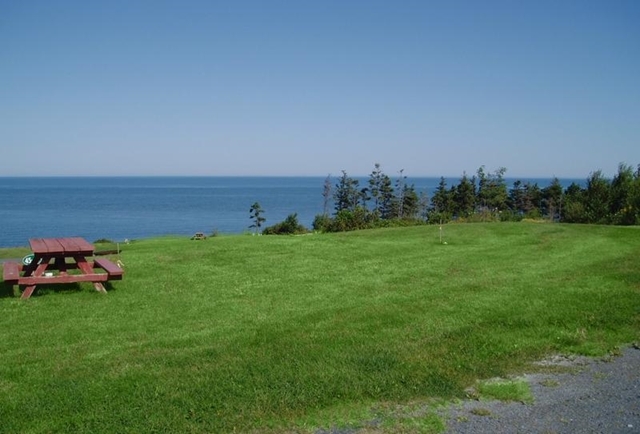 Elevated approximately 20 feet above the Lower Terrace, these large, level grassy sites enjoys unobstructed views of the Bay of Fundy and sunsets over the ocean. 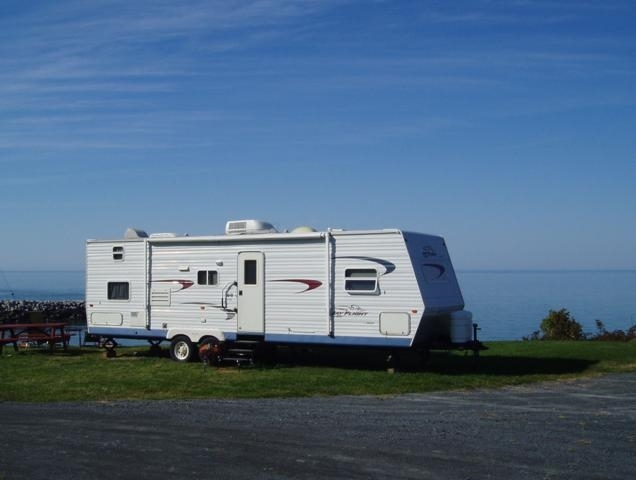 These sites are equipped with certified drinking water, 30 amp power, sewer, picnic table and fire ring.